September | 2009 | Time is an illusion. Lunchtime doubly so. In this post I’ll explain how to to aggregate your assemblies and images and multiple mps into a single file, using the BundleFactory in the Microsoft.EnterpriseManagement.Packaging assembly. This factory will let you create .MPB files, which can include resources needed by the management pack. I’ve written a PowerShell script to make this easier for you. 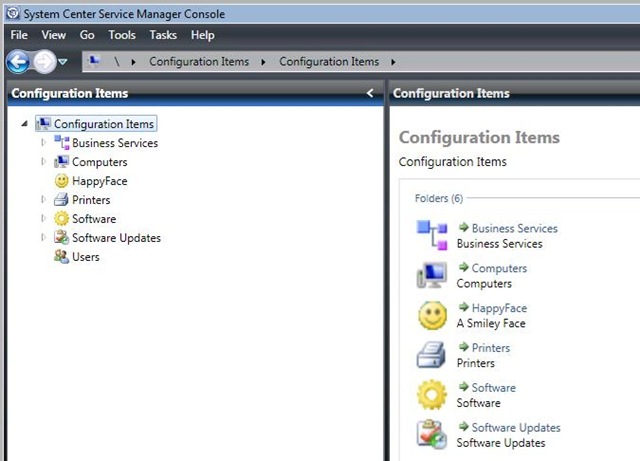 You can either just use the script attached to this blog post to create management pack bundles or continue on to learn more about how to use the BundleFactory APIs to create management pack bundles. once the script has the retrieved the resources it looks in the current directory for the files, if it finds the file, it adds the resource to the bundle. If the file can’t be found, it reports a warning, but continues to create the .mpb file. Note that this .mpb file won’t be able to be imported, but I decided to do this because I wanted to keep going to find all the issues in creating the .mpb file. The script is one of the more complicated scripts that I’ve done in this blog at about 140 lines so we’ll go through it in sections. Lines 10 through 19 declare some “constants” which I’ll use in the rest of the script. Lines 22 and 23 load the needed assemblies. Since we install the assemblies into the GAC on the management server or a computer that has the Service Manager console installed on it, I can use the static LoadWithPartialName method on Reflection.Assembly to load the assemblies we need if this script is run where the assemblies are installed. Since the LoadWithPartialName method returns the assembly, this is saved away so I can use it in lines 24 through 27 to retrieve the types I need later. I’ve done this to avoid the requirement of loading the needed assemblies before running the script. This means that the script has fewer preconditions. Lines 29 through 78 have function declarations. I declare two functions; the first function (Invoke-GenericMethod) allows me to invoke a generic method, which is how the resources from the management pack are retrieved. It’s a pretty tricky function which uses reflection to invoke the methods in Service Manager which use Generics. The second function, “Get-Resources” retrieves the resources and emits a stream of hash tables which contain the stream and the name of the resource. I need this information when I actually associate the resource with the management pack in the .mpb file. Lines 80 through 103 collect the management packs into an array. This script allows you to create a .mpb file with more than a single management pack. Line 99 has a check to be sure that I actually got some files in my array, if not, the script exits. Make sure that the resources are in the same directory as the MP"
Write-Host -for red "ERROR: Cannot find file $item, skipping"
Write-Host -for red "Error: No files to add"
Line 107 is where we connect to the Service Manager Data Access Service. This used when the management pack objects are created in line 117. Line 110 is where we finally create our bundle object which we use to aggregate all the file. Since we’re going to be creating a number of resources, Line 112 declares an array which we’ll use to keep all the resources so we can clean up in the end. Line 121 is the where we collect the resources that this management pack uses. For each one of the resources, it’s added with the AddResourceStream method in line 128. This method needs some very specific things. The last parameter ($EMPTY) is an optional signature (which would allow you to sign the resource) and we don’t need a signature for this example. We’re not done yet. We’ve created our bundle, but we need to write it, so line 135 creates a BundleWriter object with the BundleFactory and then line 137 writes the .mpb file. Finally, we have a bit of clean up, so if there were any resources, we will close the stream and then dispose. Strictly speaking, this is probably not needed because when the script exits, the variables go out of scope and are then cleaned up eventually by the garbage collector, but it doesn’t hurt to be tidy. The following is an example of using the script. It creates a new .mpb file based on an MP (ResourceExample.xml) which has a single resource (an image file) and some instructions to create a new folder with the image. The MP (as an XML file) and the image file are in my sky drive if you want to use them to try it out. Here’s what it looks like in the Service Manager Console after I import the .mpb (using the Import-SCSMManagementPack cmdlet that is available in Beta2). Now that we can create a .mpb file, it sure would be nice if we could inspect one. The following script does that very thing. It takes as a .mpb file and returns the management packs and resources found in it. This requires PowerShell V2 because of the way I’m using new-object which takes advantage of new features. Thanks to Lee Holmes and his “Set-ClipboardScript” script which provided the formatting of the code samples!